Providing a high-level cushion of comfort and durability required for any trek on the trail or around the house. 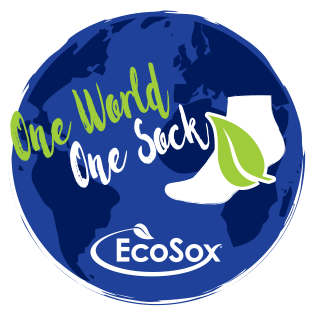 EcoSox creates a stay-up, non-binding top with a relaxed fit that doesn't impede blood circulation. After my foot surgery I was looking for a nice soft sock to wear under my cowboy boots. These fit the bill fabulously. I do not have diabetes but love the softness and non binding socks! (I have type 2 diabetes and use both your diabetic hiking socks and diabetic crew socks, which I love.) My husband had major foot surgery 8 months ago with tendon realignment of his left big toe. He already had a hammertoe on his 2nd toe on right foot. He's now back to using his hiking boots, but all his current fancy hiking socks rub the toes on both feet, VERY uncomfortable. He doesn't have diabetes, but we just ordered him some of your diabetic hiking socks and he absolutely loves them! Said they're the best hiking socks he's ever had. I am a 100% service connected disabled retired combat veteran. I bought 4 pairs of these socks and they are great. I have trench foot and my feet need natural fiber socks such as cotton, wool, bamboo. Some nylon and a very small amount of polyester is OK. These are great socks. I am ordering some more. Thanks and keep up the good work.